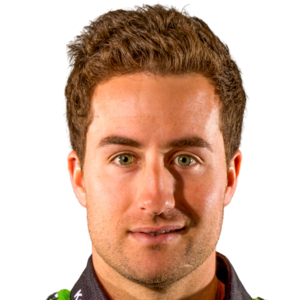 Insight: Mission 450 April 9, 2019 Martin Davalos is back to winning on a 250. But for 2020, it’s 450 or bust. The Conversation: Nashville 450 and 250 Podium April 7, 2019 Watch the post-race press conference from round 14 of Monster Energy AMA Supercross. The Weege Show | Nashville SX April 7, 2019 Jason Weigandt breaks down round 14 of Monster Energy AMA Supercross. 10 Things: Nashville April 5, 2019 The 250SX East Region returns, Sipes will take on supercross for the second time this year, and more. 250 Words: Pointing Out of 250SX April 3, 2019 Who’s staying and who’s graduating from 250SX following the 2019 season. Between the Motos: Mitch Payton March 30, 2019 The Monster Energy/Pro Circuit Kawasaki boss on the 2019 Monster Energy AMA Supercross season. 3 on 3: Sipes in the Film Room March 22, 2019 Mr. Versatility returns to the film room with tape from Indianapolis Supercross. 10 Things to Watch: Detroit February 22, 2019 The red plates hot swap in 450SX, Triple Crown format, hungry 250SX East Region contenders, and more. 3 on 3: 250SX East Expectations February 6, 2019 Who we think are the title favorites in the 250SX East Region, who will make the biggest leap in their championship chances, and more. Insight: Mitch Payton February 4, 2019 Inside Pro Circuit’s good night, AC’s gains, 250SX East, and a bet with Steve Matthes.